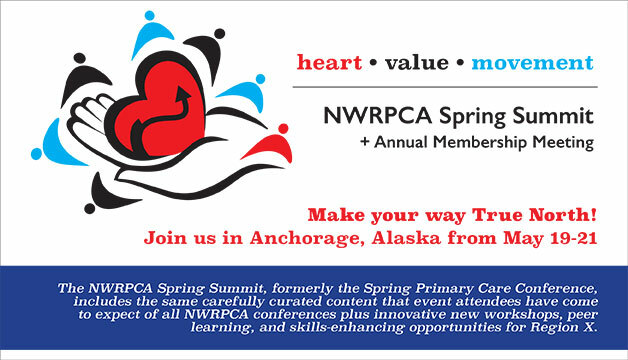 Join us in Anchorage, Alaska from May 19-21, 2019 for 2019 NWRPCA Spring Summit. The NWRPCA Spring Summit also hosts NWRPCA's annual membership meeting. Please contact the hotel directly at 907-279-8000 for reservations. Attendees can call Janet Souhala directly for their reservations at 907-792-2110. Make sure to mention the NWRPCA Spring Summit to book under our discount hotel block. Please note that our room block is sold out for Wednesday, May 22 and Thursday, May 23. More details about the hotel reservations are provided in your registration confirmation e-mail. 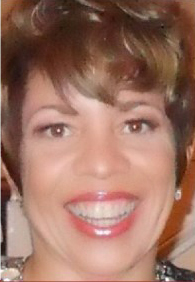 Ernia Hughes is director of ONHS at the Bureau of Primary Health Care, part of HRSA. Hughes oversees program monitoring and assistance activities for more than 700 Federally Qualified Health Centers, with a grant portfolio of about $2 billion. Hughes previously served as director in HRSA’s Bureau of Health Workforce, where she led the National Practitioner Data Bank. Prior to federal service, Hughes was the administrator of the Center for Maternal and Fetal Medicine at John Hopkins Medicine/Howard County General Hospital in Columbia, Maryland. Joe has been with NACHC for over 10 years, serving as the Senior Vice President of Western Operations. Prior to that, Joe has held a number of leadership positions in the state of New Mexico, including serving as the CEO of the Health Centers of Northern New Mexico for over 11 years. The Reverend Dr. Michael James Oleksa has spent the last 35 years in Alaska, serving as village priest, university professor, consultant on intercultural relations and communications, and authoring several books on Alaska Native cultures and history. 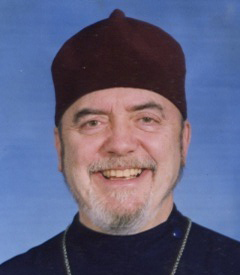 A 1969 graduate of Georgetown University and of St. Vladimir’s Orthodox Theological Seminary, Father Oleksa earned his doctoral degree in Presov, Slovakia, in 1988. His four-part PBS television series, Communicating Across Cultures, has been widely acclaimed. Convene with members from our four-state region to share best practices, participate in networking opportunities, and celebrate what makes Region X unique. Attend sessions covering Governance, Operations, Finance, Population/Rural Health, and Workforce. Learn more about Mental Health First Aid and download the agenda. Join your health center peers to network and to discuss best practices and challenges over lunch. The event will include NWRPCA’s annual business meeting and presentation of annual awards to exemplary health center staff. Learn more about NWRPCA's Summit and Legacy Awards. Introduction to NCQA's Patient-Centered Medical Home (PCMH) Training from May 22-23. To register and for more information about this training, click here. Advanced PCMH Training on May 24. To register and for more information about this training, click here. Contact Alaska Primary Care Association for complete details on location, registration and agenda. To meet your marketing goals, consider a sponsorship with varied and negotiable benefits. Sponsorship at various levels are critical to making NWRPCA conferences fiscally viable and also affordable to health centers. All sponsors are featured prominently in the conference program and signage, and are also acknowledged in the annual report to stakeholders. Exhibiting at our conference allows you the opportunity to connect face-to-face with community health leadership and staff. Note that exhibit tables are tiered in price. Please contact Janeane Harwell for more information about sponsorship, exhibiting, and advertising opportunities. We look forward to seeing you in Anchorage! Download the Spring Summit 2019 prospectus. We are pleased to offer a discount off all published fares to Anchorage from any Alaska Airlines U.S. city via Alaska Airlines. If you are traveling to Anchorage by air from May 15, 2019 - May 24, 2019, we encourage you to book with Alaska Airlines and to receive a 7% discount. To participate, go to the Alaska Airlines website and click "Use discount or companion fare code" and enter ECMC147 in the discount code field. Restrictions apply for travel to/from Prudhoe Bay, Alaska; Hawaii, Canada, Mexico, or Puerto Rico. In support of helping health center staff, clinicians, administration, and board of directors pursue professional development, NWRPCA conferences are a consistent source of continuing education units (CEU). Advance Preparation: Conference material will be posted on NWRPCA learning vault 1-2 weeks prior to the conference. Access to session information, including supporting documents, can be found here: www.nwrpca.org/my-events. This workshop has been approved by the Washington Chapter, National Association of Social Workers (NASW) for Licensed Social Workers, Licensed Marriage & Family Therapists and Licensed Mental Health Counselors. NWRPCA Provider number is #1975-415. NACHC will allow credit for NWRPCA Governance Credits (up to 6 credit hours) applied toward the NACHC Governance Certiﬁcate. If you are enrolled in the NACHC Board Governance program, please log into mylearning.nachc.com to see your progress. Please contact Narine Hovnanian at nhovnanian@nachc.com for more information. NWRPCA has applied for approval for certiﬁcation credit hours toward Professional in Human Resources (PHR) and Senior Professional in Human Resources (SPHR) recertiﬁcation through the Human Resource Certiﬁcation Institute (HRCI). For more information about certiﬁcation or recertiﬁcation, please visit the HRCI homepage at www.hrci.org. Application for CME credit has been ﬁled with the American Academy of Family Physicians. Determination of credit is pending. Past conferences have offered up to 25.5 credit hours. Continuing Nursing credit will be awarded through Migrant Clinicians Network. Migrant Clinicians Network is accredited as a provider of continuing nursing education by the American Nurses Credentialing Center’s Commission on Accreditation. NWRPCA is registered with the National Association of State Boards of Accountancy (NASBA) as a sponsor of continuing professional education on the National Registry of CPE Sponsors. State boards of accountancy have ﬁnal authority on the acceptance of individual courses for CPE credit. Complaints regarding registered sponsors may be submitted to the National Registry of CPE Sponsors through its website: www.nasbaregistry.org. Conference participants can earn up to: 10.5 CPE credits in Business Management Organization field of study. Who should attend? CEO’s, CFOs, Operation Managers, Finance department professionals, Education Directors, Managers with a finance or fiscal capacity. Advance Preparation: All material will be posted on NWRPCA learning vault 1-2 weeks prior to the conference. Access to session information, including supporting documents, can be found here: www.nwrpca.org/my-events. In order to receive CEUs, all attendees are responsible to sign in and sign out at each session during the conference. CEU certificates are accessed online. Conference attendees will be sent an email after the conference with instructions on how to process your CEU online. You will be responsible for completing the process online and printing your certificate. Discounts! Register 4+ people regardless of membership status or registration date and receive a 10% discount. Enter the code 2019 SpringGroup when registering. Rates after April 12, 2019 increase by $100 for full conference. Please note the registration cancellation deadline is Sunday, May 5, 2019. Cancellations must be in writing (email is fine). Registration will be refunded less a 20% processing fee. Cancellations made after the deadline are not refundable. For any questions, complaints/grievances, please email registration@nwrpca.org.